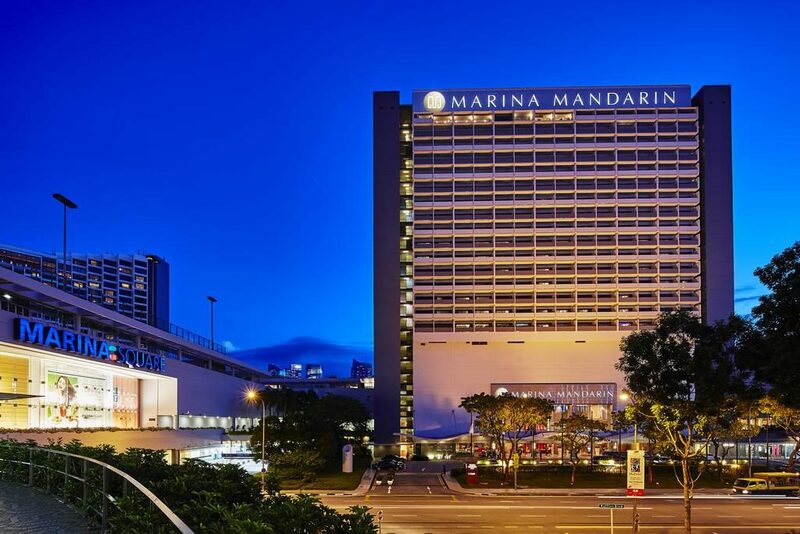 The hotel offers direct access to the Marina Square Shopping Mall, is directly opposite the Suntec Convention & Exhibition Centre (connected by covered walkway), and within walking distance of popular tourist attractions such as the Esplanade – Theatres on the Bay, Gardens by the Bay, and the Singapore Flyer. It is also situated trackside of the Singapore Grand Prix Formula One race. Board CHANGI AIRPORT MRT STATION CG2 (East West Line) towards Tanah Merah. Change platform at Tanah Merah MRT STATION EW4 (East West Line) towards Tuas Link. Into Marina Square Mall, follow the signs into Marina Mandarin Hotel.